Comparative instant quotes on popular, affordable Medigap plans or you can submit a quote request or call us NOW (603) 622-5700 to discuss your best available options with a local NH Agent. No cost or obligation. 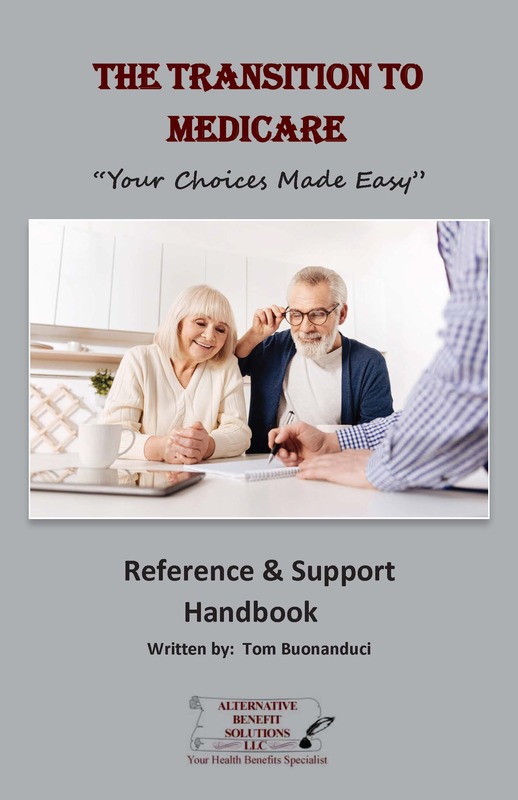 click "The Transition to Medicare; Your Choices Made Easy" to get your FREE Copy of this new eBook. A Medicare Advantage plan works differently than a Supplement. With a Medicare Advantage Plan a private company TAKES OVER for Medicare (you remain in the Medicare system but Medicare is no longer responsible for your bills). With this type of plan, it is important to remember several things. First, most Advantage Plans have "Networks", so you want to make sure your Doctor, Hospital, and auxiliary care are within the network (otherwise you may be paying higher costs and in some cases are responsible for 100% of care outside the network). Second, Advantage Plans have deductibles, co-pays and coinsurance associated with them. It is important to be aware of these because they can add up to be quite a bit of money. Third, many Advantage Plans have the Part D “built in” but you must be aware that when switching to a Supplement from an Advantage Plan, you will also need to add a Part D plan. In the latter case, you get to shop from over 20 Part D plans in New Hampshire, finding one that's best suited to your needs and budget. Also, not all Plan D Prescription plans are the same. Although they are required to be at least as good as the Medicare model, they can vary greatly in costs, co pays and specific drugs that are covered. It is important to check which one suits you and continue to check each year because they (like Advantage Plans) do change every year. Because these plans may vary, even from county to county, we suggest that you contact us to help you choose the one that best suits your needs. Understanding the above options, with respect to your health needs and budget, are very important and can have long-term consequences. As Independent Agents, we represent many top rated insurers in New Hampshire, and can shop and provide FREE quotes on your best options. Don't hesitate to contact us at (603) 622-5700 to help you find the plans that will work best for YOU!